Birchbox: Beauty Sample Boxes are they worth it? So I just became aware of this amazing service of beauty sample boxes ( I know I’ve been living under a rock apparently) I found out about Birchbox through a friend and then got so wrapped up in the excitement that I also signed up for Ipsy formally know as Glam bag. I want to try both of the services and see which one I like better and if they are really worth it. I haven’t gotten anything from Ipsy yet so I can not compare but I definitely will post when I do. I received my Birchbox yesterday and I was so excited. For those of you who don’t know how the service works let me explain. Birchbox is a service that sends you about four or five hand picked beauty samples every month. 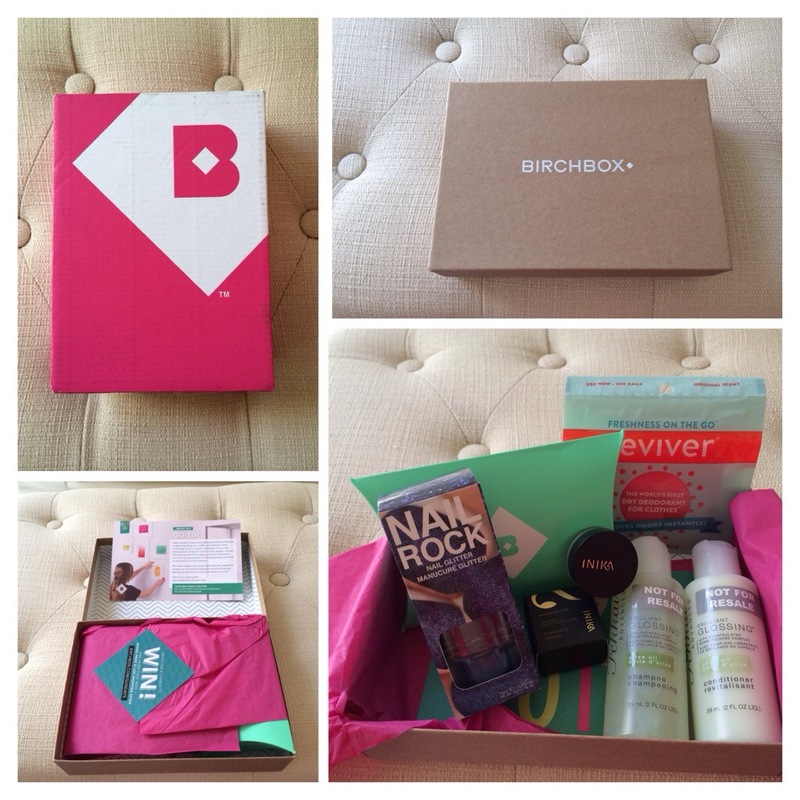 With Birchbox you can become a subscriber one of two ways. You can request an invite which can take up to two weeks or you can be invited by a friend which gets you in right away 😉 I was fortunate enough to have an invite from a friend so I didn’t have to wait. If any of you would like to skip the wait but don’t know anyone to invite you in you can use my link https://www.birchbox.com/invite/ltblk From there you choose if you want to dedicate to the service for a full year or if you just want to try it monthly. It’s only $10 and you can cancel at anytime. I opted for the monthly subscription just because I didn’t know what to expect. Once you figure which one works best you fill out a beauty survey so that the samples will be tailored to your needs, hair type, eye color etc After that you wait with anticipation for your box to come! In my first box I received five samples. Below is my review of each of them. 2.Fekkai Brilliant Glossing Conditioner: This conditioner smells just as amazing as the shampoo and claims to have a slow releasing olive oil formula that gives you added shine, once again I do not feel that my hair is “shinier” but I wouldn’t say that I don’t like the product either. Its a great shampoo and conditioner that cleans your hair and leaves it smelling great Id say that’s a win for everyone. 3. Inika Mineral eye shadow in Eternal Marine: Now this is my own doing that I received such a creative colored eye shadow because I told Birchbox to mix it up when it came to beauty products. The eye shadow itself is really cool its a mineral wear that is made from certified organic ingredients. Is it a color that I would wear…probably not. Is it a good size for me to play around with it…absolutely it would be a large enough size for me if I liked the color and wanted to wear it regularly. 4. 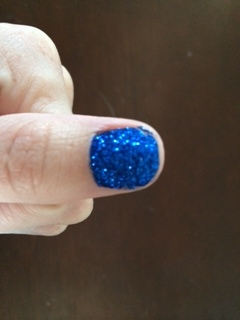 Nail Rock Glitter Nail Polish: This was the COOLEST product in the box because it was a full sized product. It is a new trend from the UK (which I thought was super cool that I was getting in on an international trend way before the curve, something I never can seen to do) Basically what it is, is a full sized bottle of nail polish and a glitter pod. You paint your nails with the polish and immediately dip them into the glitter pod. I was skeptical at first like oh yes this is going to create a glitter mess but after I did it I now know why they call it Nail Rock, because the glitter gets really hard and your nails are textured with glitter but hard as rocks. The effect is awesome but it doesn’t last all week especially if you have children or wash your hands a lot. 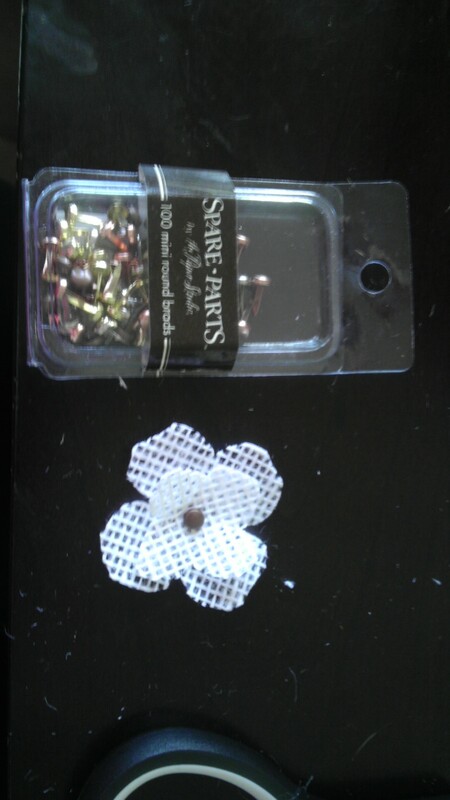 However the bottle costs $6.99 normally and I got it and all my other samples for only $10.00. 5. Reviver Dry deodorant wipe: This sample is really cool it is a reusable wipe that you use to deodorize clothing, upholstery, your hair, anything else stinky! So if you are traveling in the car for a road trip and want to whisk away the scent of all your fast food runs you simply take the wipe and run it along your clothes and then pop it in the laundry. Is it something that I would of bought on my own? No. Is it something that I would consider buying now that I’ve tried it? Yes! Its super cool. So the verdict, are Birchbox subscriptions really worth it? ABSOLUTELY! 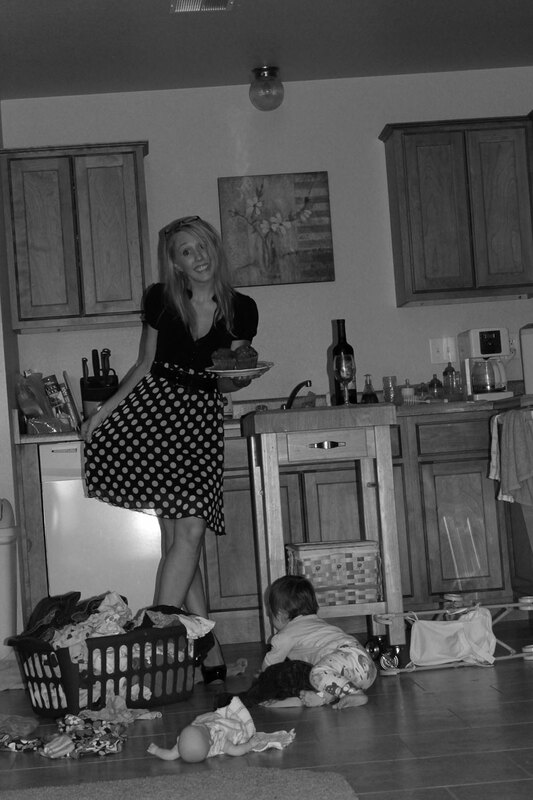 For only $10.00 a month I had so much fun tracking my package, opening it and playing with all my little treats. It really is a nice little thing that both woman and men can do for themselves for a really low cost. I haven’t received my Ipsy Glam Bag yet but I will mid February along with another Birchbox where I will then compare them along side each other. Once again if anyone wants to skip the wait and get a Birchbox subscription right away here is my invite link https://www.birchbox.com/invite/ltblk. I had a 12×12 sample piece of ceramic tile laying from my college days and I could not just throw it out so I found a way to put it to good use. 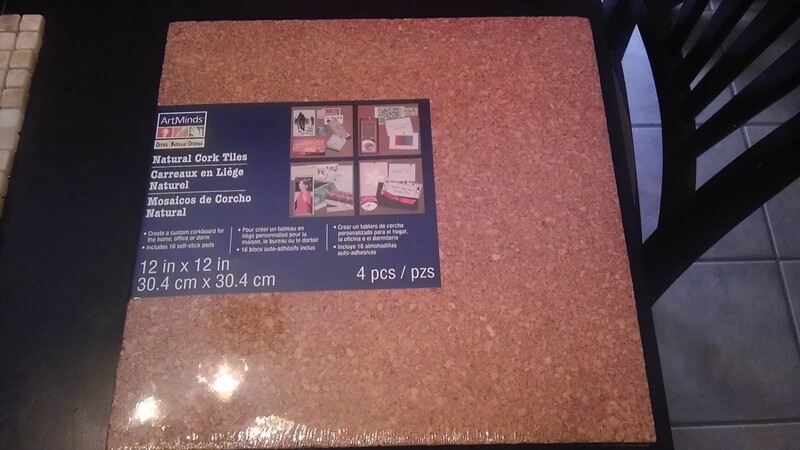 I cleaned off the tiles and then ran out to Micheal’s and bought a 4 pack of 12×12 cork board for $10.00. Just simply use the 3M double sided sticky mounts that come with the cork board and attach it to one piece of cork. 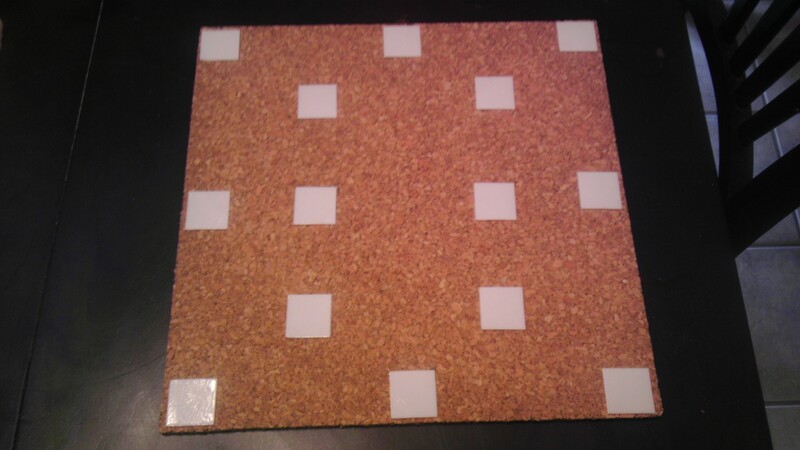 Then apply the tile to the cork board and press down firmly to ensure that the stickies attach to the mess underlay. 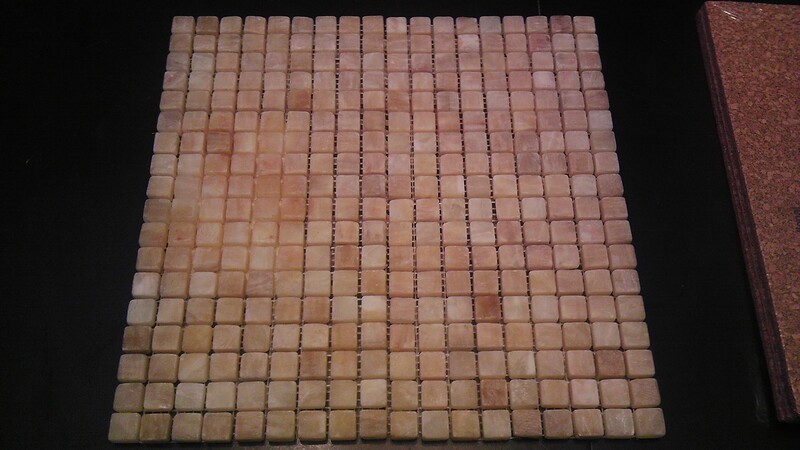 Then you can use the tile piece as part of a accessory vignette, a table center piece, a hot pad or even a drying rack! Since I am having another baby girl it just made sense to reuse my first daughter’s baby crib for my second. However I wanted it give it a little face lift because I didn’t want their nursery’s to look exactly the same and after two years of use this crib was a little beat up. 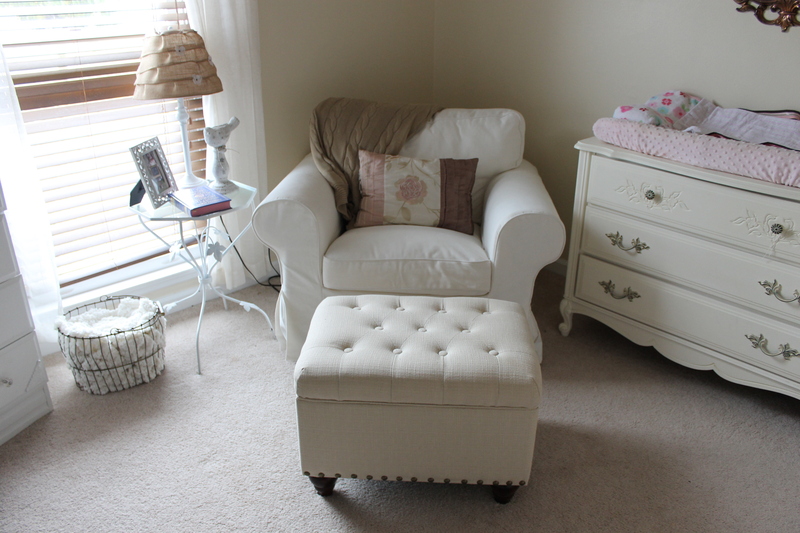 So I decided to paint the crib using Annie Sloan Chalk paint. The benefits of using chalk paint is that it is water based so there are no VOCS, no toxins, and it is completely safe for baby. On top of that the paint does not require any sanding or prepping in order to stick to the surface of the furniture piece. I was a bit skeptical about that but it really didn’t require me to do a thing. I even left all the dents and dings from where my daughter chewed on the side of the crib. The paint covered it and you wouldn’t even know they were there. 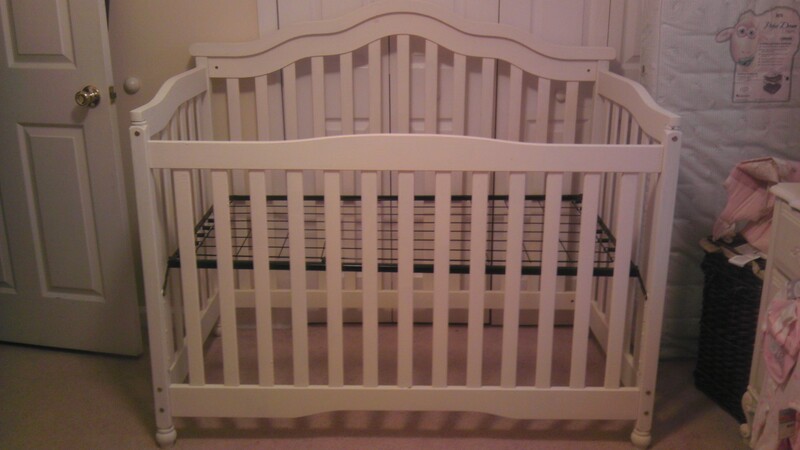 Here is what the crib originally looked like, it is a really dark espresso wood finish, I was worried that the light colored paint would not be able to cover this color but with only two coats it did. I started out by laying a tarp out on my driveway and just simply painted the first layer of paint on with no real method. The paint dries so quickly that by the time you do one coat on one side it only takes about five minutes to dry in the sun before you are ready to flip it and do the back side. *UPDATE* I would like to point out that there are some bloggers out there that are referencing my blog and stating that laying the crib out and painting it creates hard nodes of paint on the slates. That will absolutely happen if you are putting too much paint on, when I was taught how to paint this by Annie Sloan reps they stressed the importance of using small amounts and using layering to achieve the desired finish. 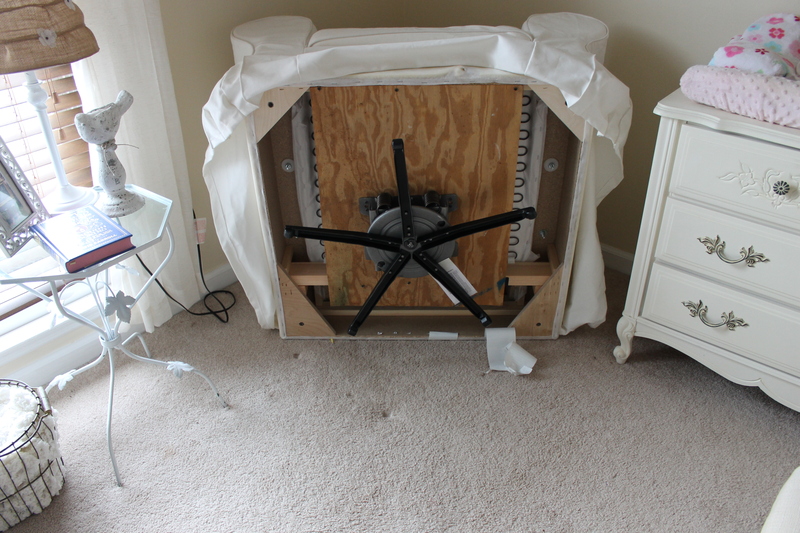 Other bloggers are suggesting that you put the crib together first and paint it assembled, this is fine but keep in mind that gravity is going to work against you as you paint creating runs and drips. 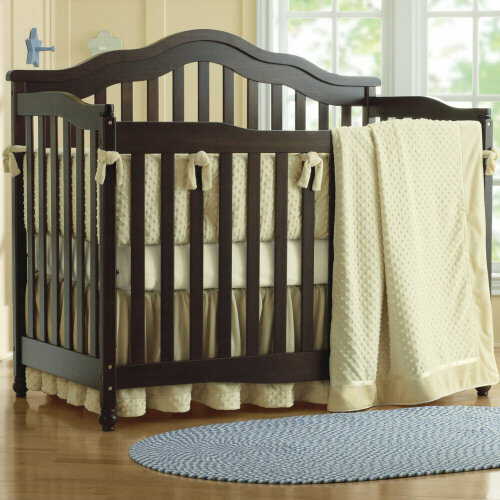 And if your crib is a convertible crib as most are now days you will have a lot more work to do when you convert the crib to a toddler bed. Also this paint needs at least a week to oxidize and breathe before the wax is applied, Annie Sloan suggests letting it sit out for a month but I was too anxious and excited to do that. If you are painting the crib assembled it is going to create paint pile up in the creases and joints this paint will not be able to oxidize and set if it is piled up like this. 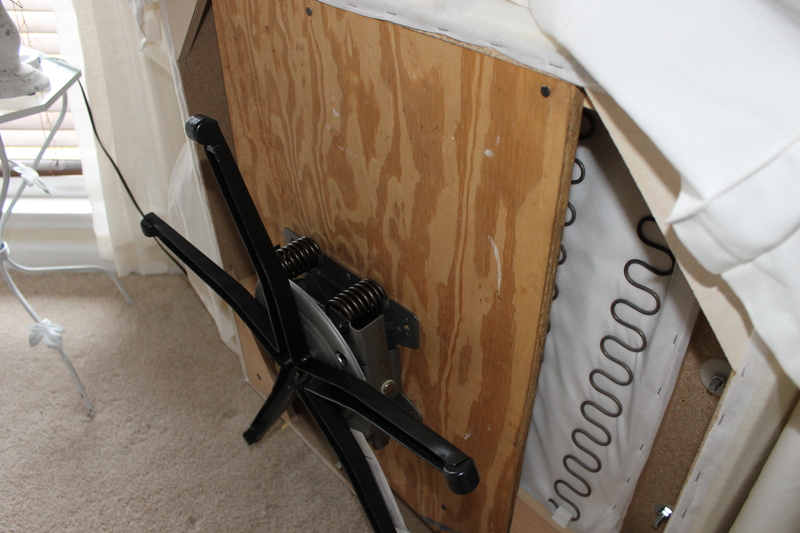 Also this method can lead to hard set paint line and junked up hardware. 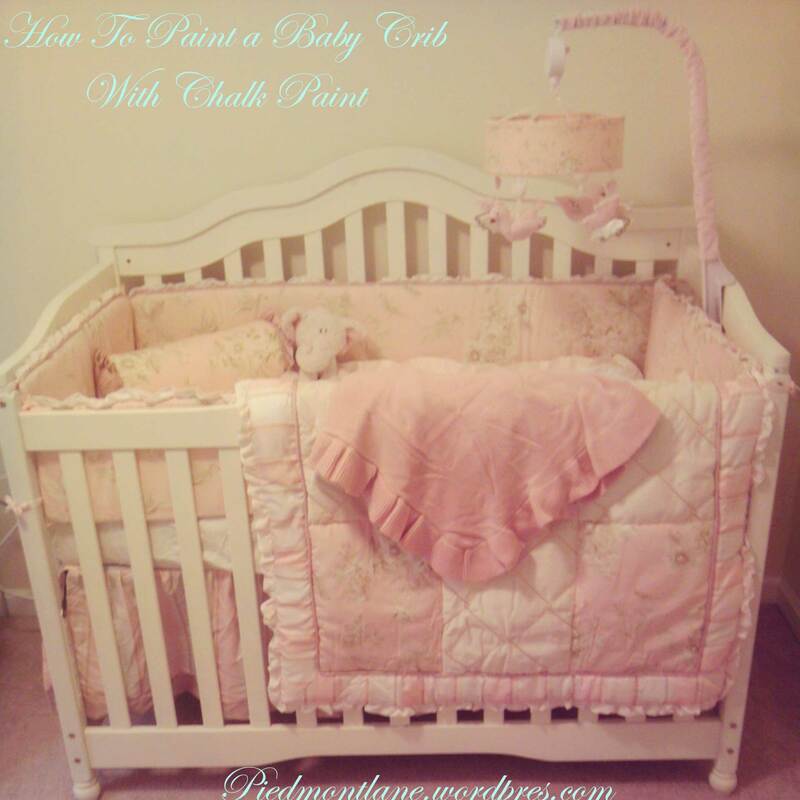 I would not suggest painting your crib this way, it does seem “easier” but in the long run it could create more work. 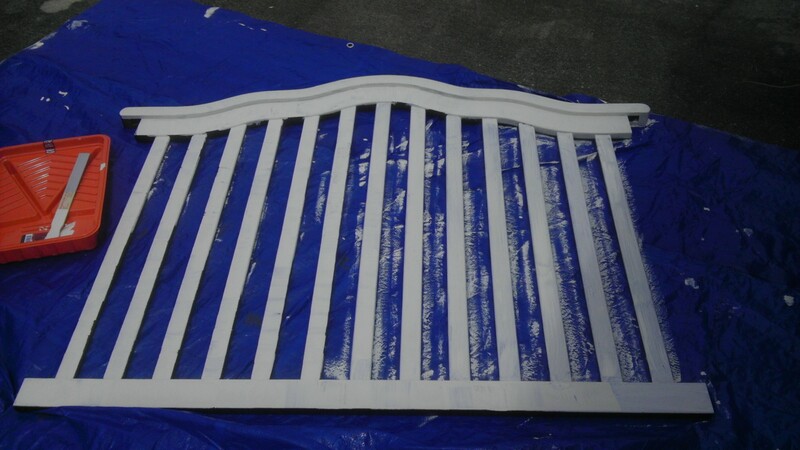 Also if you are taking a dark crib like mine and painting it a light color if you paint it assembled you will not be able to cover all the dark crevices and they will peek through. I let the paint can sit out in the sun and oxidize as I worked. This thickens the paint, and makes it easier to get a really solid first coat. For the second coat I added some water to the paint to thin it out a little bit this gave the crib a more shabby chic distressed finish. The really nice thing about this paint is that is doesn’t have to be perfect, especially if you want the furniture piece to have a little bit of charm and character. After the entire thing was painted I let it sit out for a day to cure and then my husband assembled the bed. We bought the Annie Sloan furniture wax that helps seal the piece but we decided not to use it at the moment because we were so pleased with how the paint finish came out. Its completely optional if you want to use the wax or not. 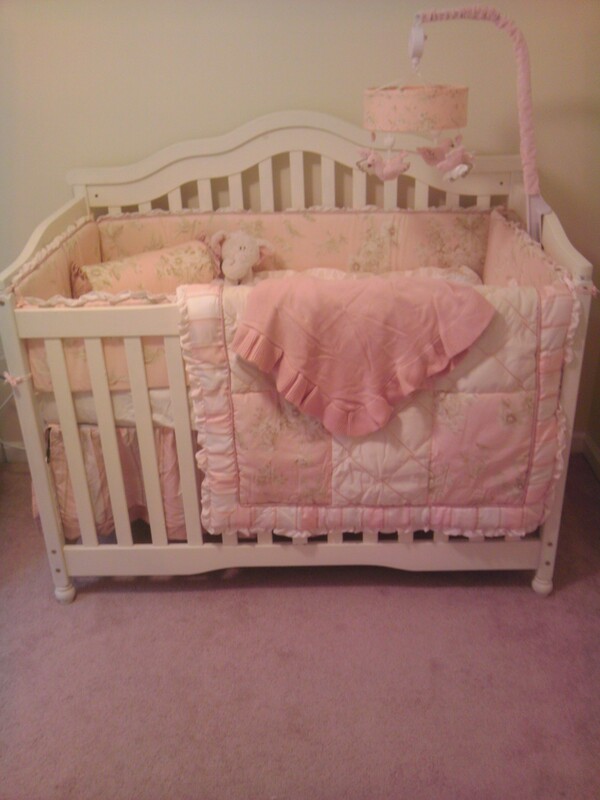 When my daughter gets a little older and starts really using the crib I might decide to seal the crib then. *UPDATE* I would like to add an update to this project, after much debate I decide to go ahead and use Annie Sloan Clear Wax to finish the crib. 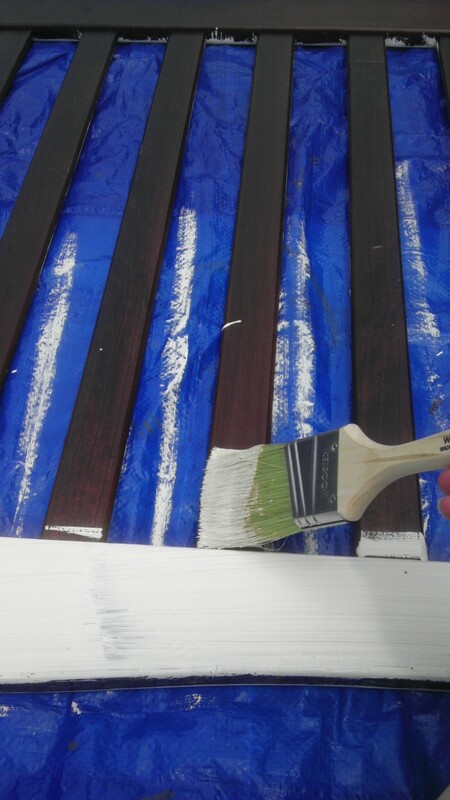 The wax seals the paint giving it a protective barrier that is necessary in order to maintain the paints appearance. 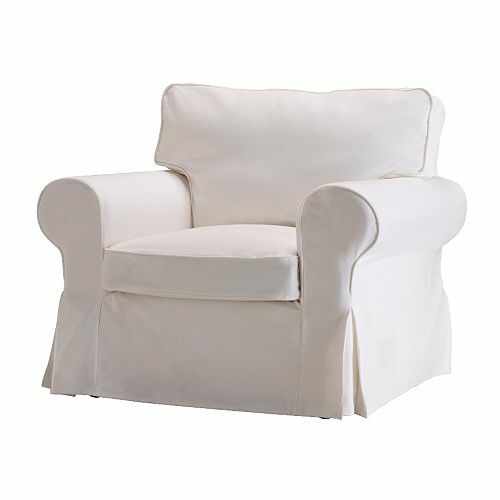 It gives the furniture piece a softer feeling as well. All you have to do is use a soft cloth to apply the wax and then an old t-shirt to buff it out. I let the crib sit and cure for a day after I waxed it before I put the bedding back on, and I waxed it without taking it apart because I was really only worried about protecting the parts that you see. 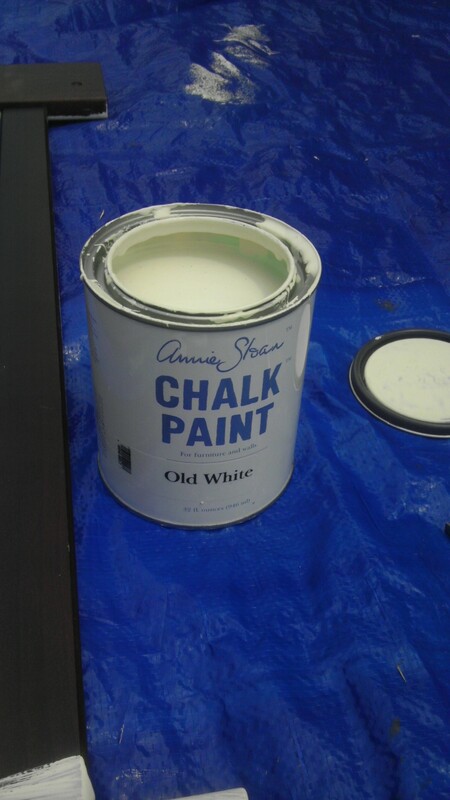 I hope that this helps anyone that is attempting to paint a crib with chalk paint. 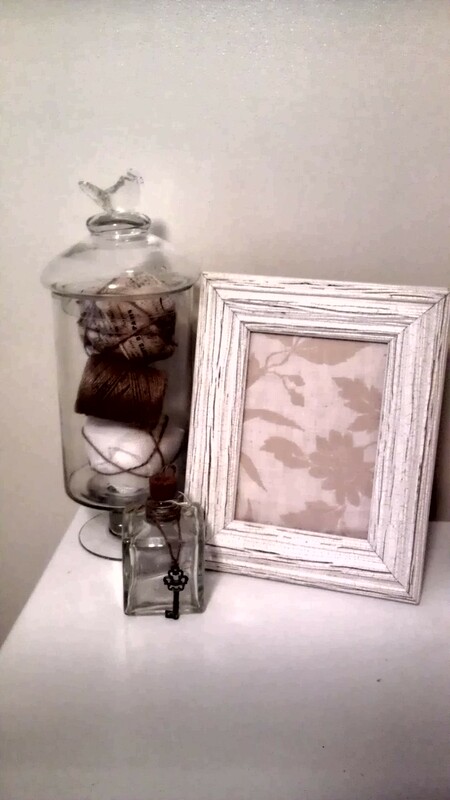 Right now glass apothecary jars are extremely popular so I knew that I wanted to incorporate one into my daughter’s nursery design. 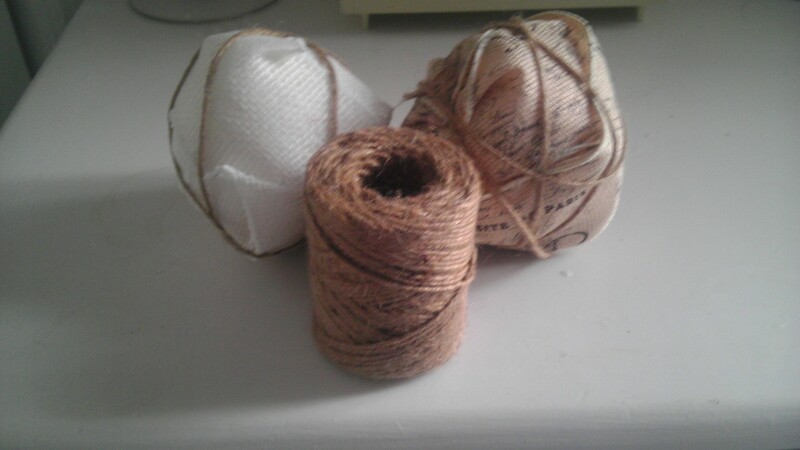 Since I am going for a French Nest theme twine and burlap feel appropriate for decorative elements. 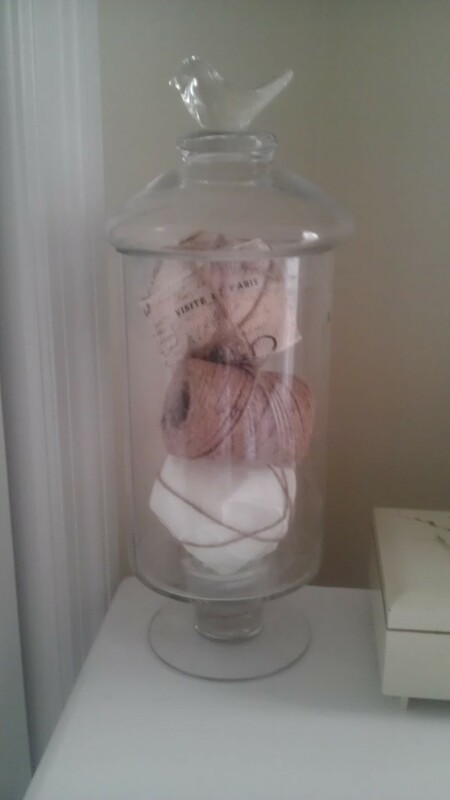 I knew that I wanted to fill the jar with some sort of twine element so I decided to make some decorative burlap twine balls. The entire process is so easy and cost effective that you could use these for all sorts of different decorative elements all over the house. I am even considering making some into Christmas ornaments. All you need is some burlap, garden pins, twine, and some foam balls. You just simply wrap the burlap around the foam and pin it where you feel it needs it, there really is no rhyme or reason to it. Then at the end you wrap it loosely with twine! 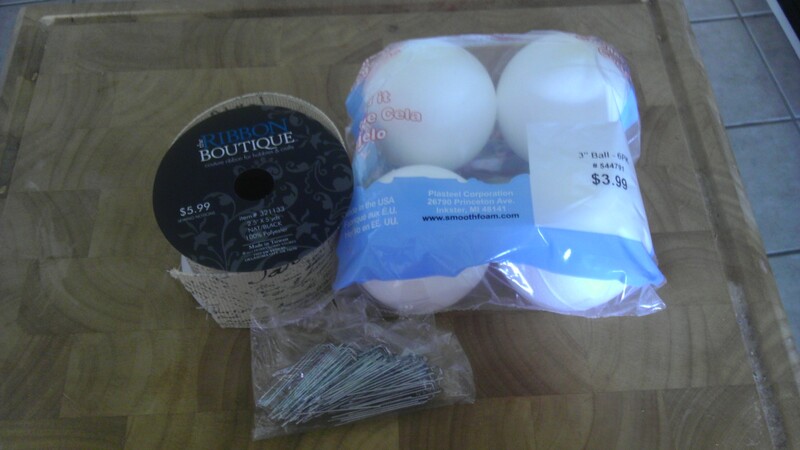 For my daughter’s nursery I am doing a lot of DIY projects. I had an old lamp that I had bought at Target that was the perfect size for her room. 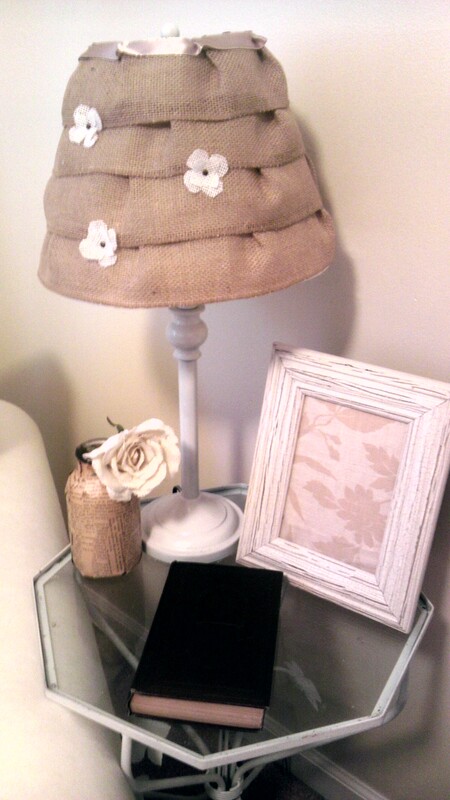 The Nursery theme is a French Nest so in keeping with that theme I created a nice French themed burlap lamp shade. 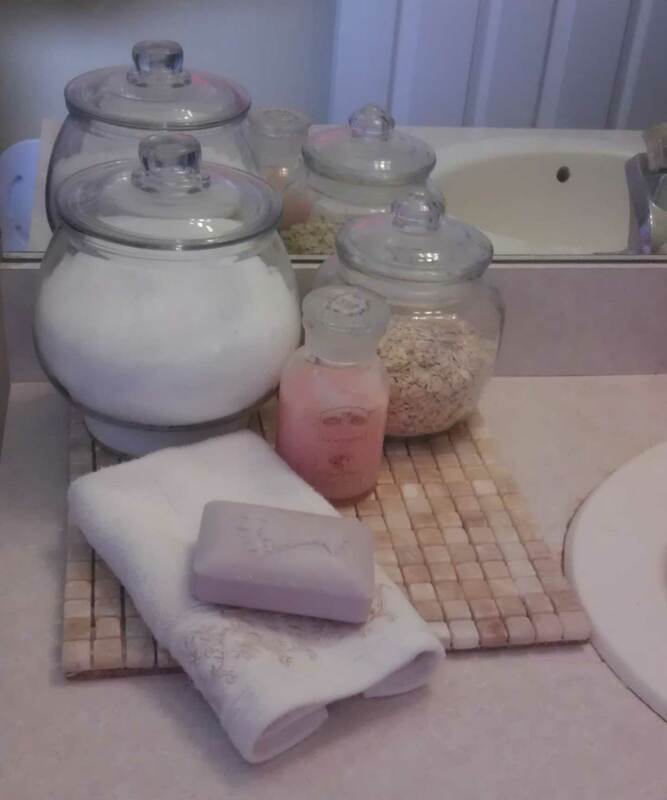 It was extremely cheap and easy to make and it brings some nice texture to the room. I first began by spray painting the base of the lamp it was originally black and I spray painted it white. 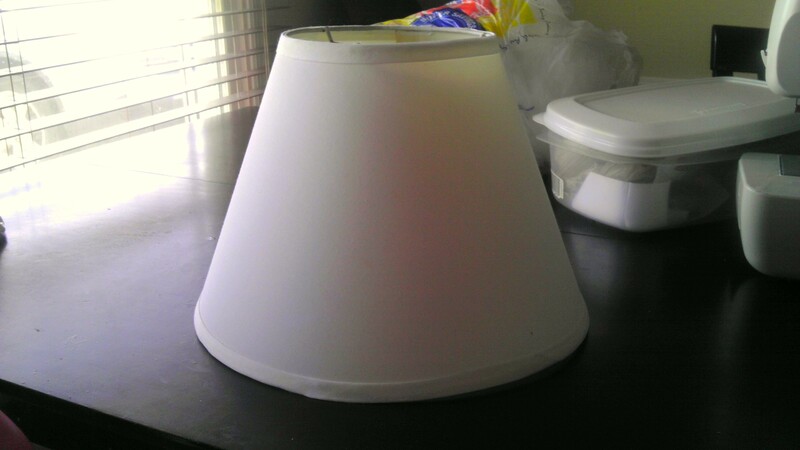 I theme took a dryer sheet and a wipey and cleaned the lamp shade to ensure that the glue would stick to it. All you need is a hot glue gun, some burlap, ribbon, and if you would like to adorn the lamp shade with any ornamentation like little flowers or crystals. 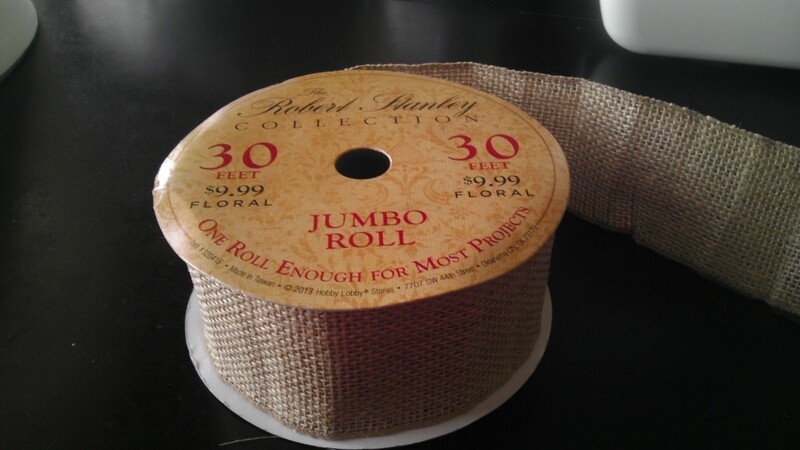 I purchased this roll at Hobby Lobby while it was 50% off so I only paid five dollars for it ;0 The most important thing about applying it to the lamp shade that I found was that I had to pleat it in order for it to lay nicely. 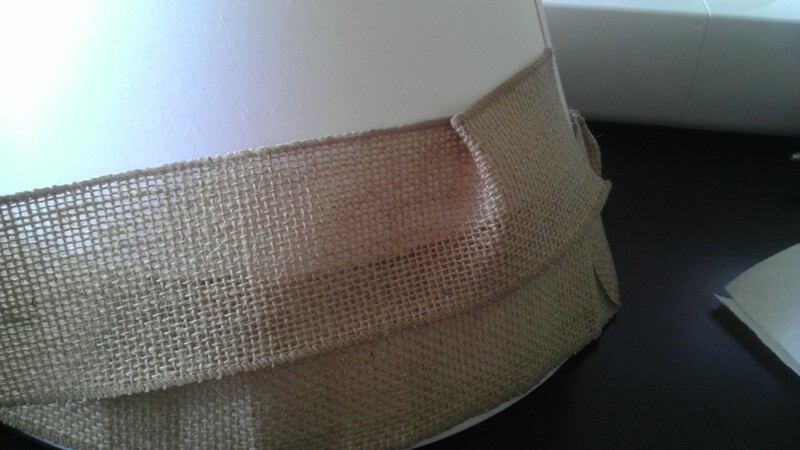 I purchased the burlap that has wire in it so that it was easier to make the pleats. 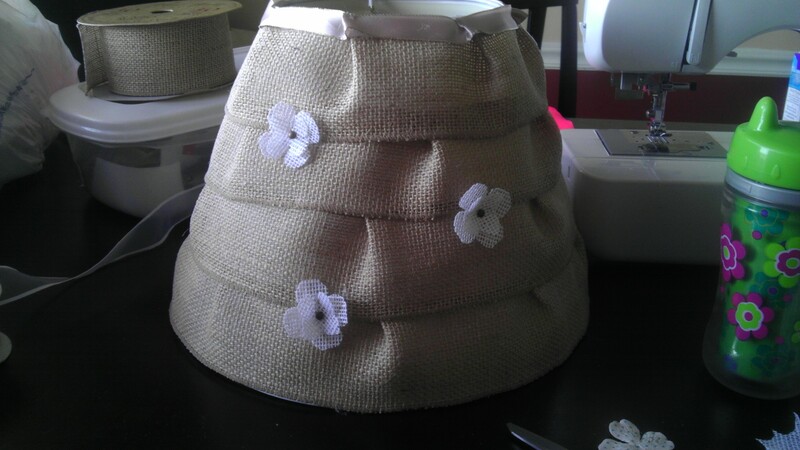 I would glue the burlap to the shade at the pleats so that it would hang nicely. Next I took a different color of burlap and I cut out some flower shapes and pinned them together just to give the lamp shade some character. Lets face it sometimes we are too busy to make everything from scratch and sometimes we have to go for the quick fixes like boxed cake and pre-made frosting, but that doesn’t mean that we still can’t be fancy doing it! 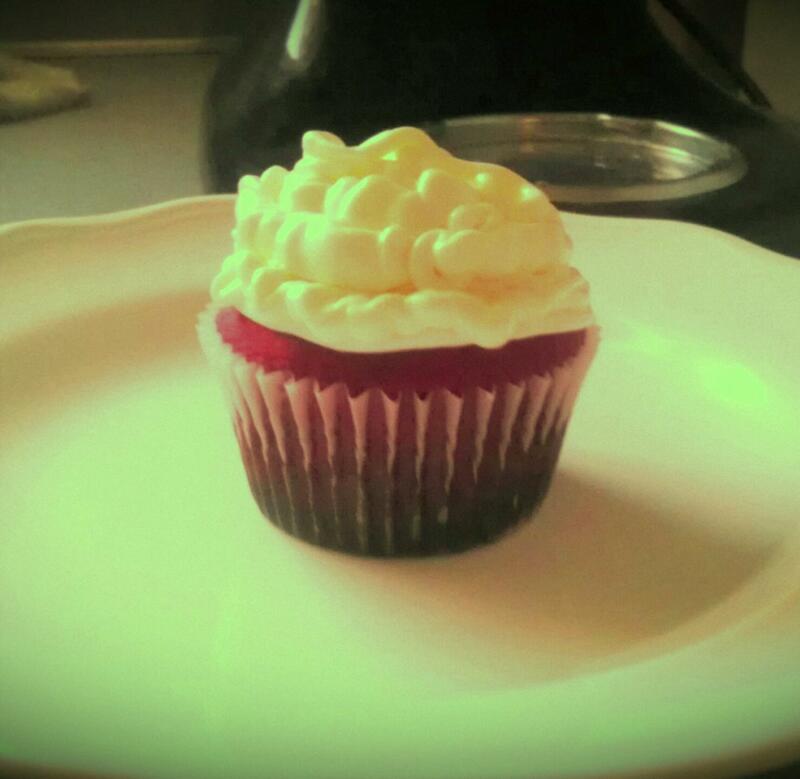 Plus real cake frosting can be very really tricky to get to the perfect consistency. So I have come up with this cake recipe through much trial and error from both boxed and home made recipes. It is something that you can use if you are short on time or cash. 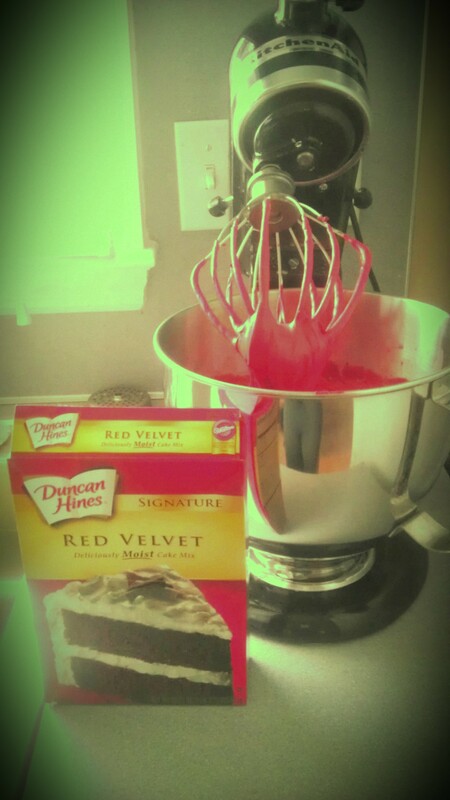 I bought Duncan Hines Red Velvet Cake mix and Betty Crocker Cream Cheese Frosting for $3.38 and then added extra’s to make a delicious (F-aaancy) treat! Start by preheating the oven to 350 degrees and greasing your pan or if making cupcakes line pan with liners and I like to spray a little cooking spray in the paper liner so they pop out easily. Then pour your cake mix into a bowl and this step might seem self explanatory to most but it took me many years of baking to figure this out. Use a fork or your electric mixer to mix the dry cake mix to break up any clumps it will make your cakes so much smoother. Next add in the milk, eggs, and melted butter and I like to mix the batter for about 5 minutes on a high speed it makes for a really nice whipped batter that yields extremely fluffy cake! Next pour your batter into your greased pan or cake liners, I use an ice cream scoop to make sure that I all my cupcakes are consistent. Place cake or cupcakes in the oven and bake based on the times on the box usually 30 minutes for a cake and 20 minutes for cupcakes. 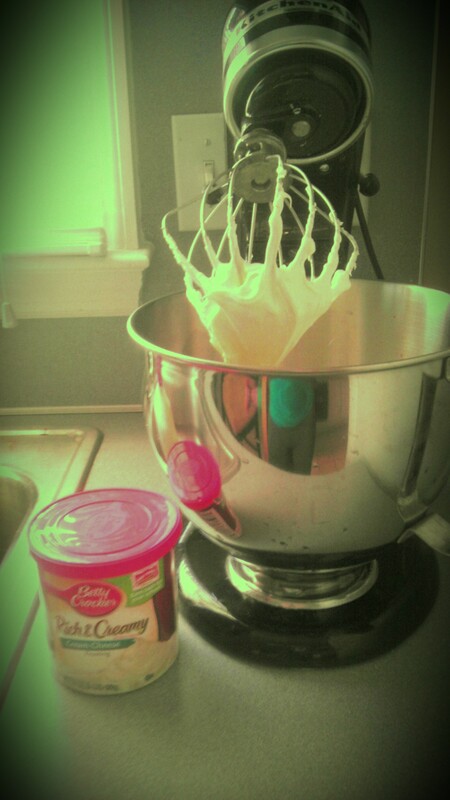 At this time you should pour all of your frosting into a mixing bowl and add the cream cheese and butter. Whip the frosting until all the cream cheese and butter are mixed in and a nice consistent whipped texture has formed. Then place the frosting in the refrigerator to allow it to chill. Once the cake is done take it out and allow it to cool completely then frost with chilled frosting and enjoy your fancy cakes!